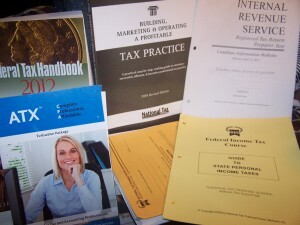 As part of The Schoolhouse Review Crew, I received the National Tax Training School Federal Tax Course to review. 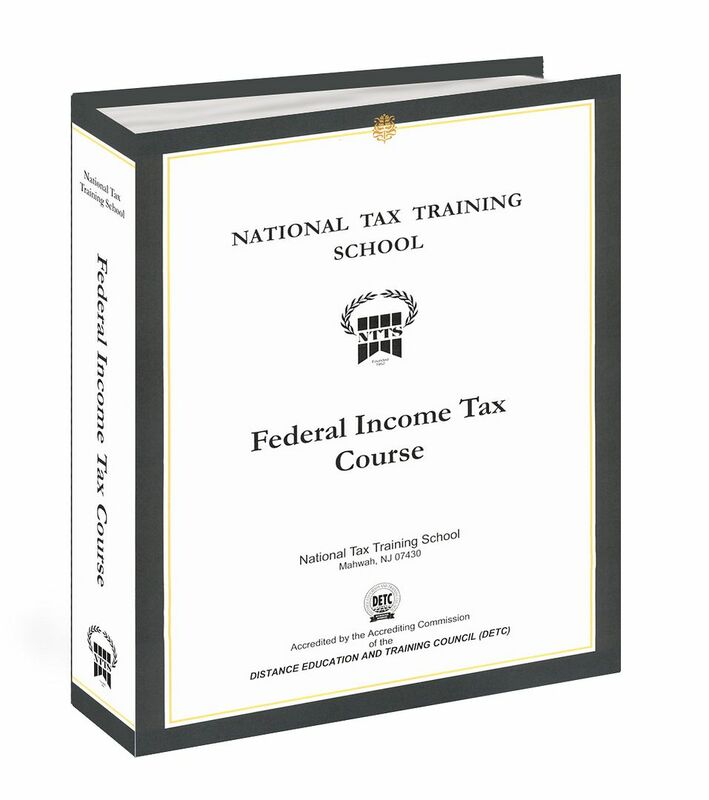 The National Tax Training School Federal Tax Course is a complete tax course. This clear and thorough program, teaches everything you need to know to start and operate your own tax practice, accept a well-paid job preparing tax returns in an accounting or tax preparation firm, or simply save yourself money by doing your own personal tax returns. When you have successfully completed our course, you will have the knowledge and confidence to prepare tax returns for clients anywhere. No previous experience in tax work necessary to take this course. After successfully completing our Federal Income Tax Course you will also be ready to take the required IRS Registered Tax Preparer (RTRP) exam. Pictured below, is the binder with the first 17 lessons of the course. You work through the course at your own pace. 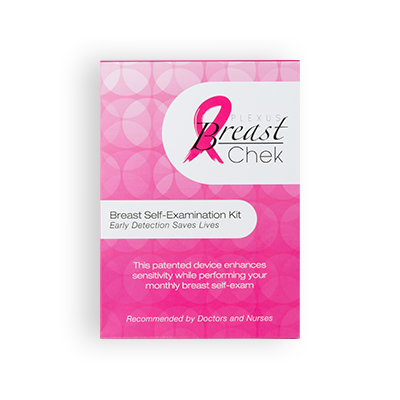 Each of the seventeen lessons take approximately eight study hours to complete. The course can be finished in as little as eight weeks. 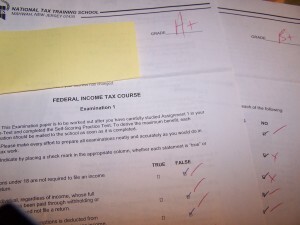 The National Tax Training School gives students up to one year to finish the course. If you are unable to complete it within the one year, you can pay $50 more for a six month extension.